Climate change - when does it get real? When a king tide and cyclone collide to damage your home, or your bank forces you to sell your home. Yes - forces you to sell your home. How? It all comes down to insurance. If your insurer decides it won’t insure your house due to flood risk caused by rising sea levels, your bank will force you to flog it off, as you need insurance to have a mortgage. The problem is, you’ll have trouble getting anyone to buy your house if it’s uninsurable. This situation could cripple you financially and leave banks dangerously exposed. The New Zealand Bankers’ Association’s Chief Executive Karen Scott-Howman isn’t aware of new lending or insurance being declined on coastal properties, but says “it’s certainly an issue that banks will have to take into account over time”. Motu researchers have explored this issue in a paper, ‘Insurance, housing and climate adaptation: current knowledge and future research’. They explain: “While mortgages are often granted with repayment periods spanning decades, insurance contracts are renewed annually. Insurers are thus able to completely exit an insurance market within 12 months, while a lender may still have decades before their loans mature. “Insurance retreat could leave some lenders with a portfolio of assets in technical default. Whether banks experience material losses will depend on the number of houses made uninsurable, the geographical concentration of the bank portfolio and the pace at which banks can divest themselves of mortgages on uninsured properties. “As a consequence, bankers expect that in the future they may lend to owners of coastal property less often, or require more equity or higher interest rates. In response to this problem, Motu researchers suggest insurers investigate the viability of introducing longer term insurance policies to the market. “Policies could then more closely match the timeframe against which a mortgage is paid off, or the expected term of occupancy,” they say. “This insurance would likely involve a pre-agreed schedule of premiums which would increase over time and could be contingent on observed sea level rise. “This schedule would communicate to potential home owners the likely costs of coastal home-ownership and would help the banking industry avoid mortgaging properties which would later become uninsurable. “Long-term risks are likely to be highly correlated, and so insuring against them would require solving distinct actuarial problems. “Longer-timeframe home insurance would also require general insurance firms to more actively manage the interaction between asset and liability risks, as is currently done by life insurance firms. While Scott-Howman says banks and homeowners would welcome longer term insurance products, insurers aren’t convinced. IAG, Vero and Youi say they have no appetite for this. Tower hasn’t responded to interest.co.nz’s inquiry. IAG’s national portfolio manager for home insurance Brendan McGillicuddy explains a 12-month policy enables an insurer to annually review whether the value of a policyholder’s home has changed due to inflation or renovations for example. It also enables policyholders to receive the “benefits of improved product wording” and allows the insurer to reassess the physical risks the home is exposed to. “Longer term contracts are considered non-conventional and would make these types of changes harder,” McGillicuddy says. Youi’s Head of Service Quality Trevor Devitt says: “Our concerns are that a product like this would necessitate changes to underwriting practices and risk acceptance criteria, coupled with significant impact to premiums which would affect the affordability of insurance. The Insurance Council of New Zealand’s Chief Executive Tim Grafton maintains products with longer term policies would simply be too difficult to sell. He questions whether people would want to get locked into a policy with annual premium increases, when they could shop around for the best deal on a year-by-year basis. Grafton also maintains longer term policies could be problematic as property owners may decide to sell their properties before the terms of their insurance policies lapse. The question therefore is whether the new owner takes on the existing insurance policy, or whether the policy is cancelled. Grafton isn’t aware of longer term home insurance policies existing in other parts of the world. Turning the focus back to the present, the question is, how likely is it that insurers will start refusing to insure areas prone to flooding due to rising sea levels? While Grafton recognises this is a possibility, insurers haven’t made any drastic moves. Vero’s executive manager for underwriting & portfolio management Don Smith says: “Climate change is something we’re continually looking at, but we haven’t yet made any changes similar to the blanket exclusions for damage by the sea in Australia. IAG’s McGillicuddy says: “We have not made any arbitrary decisions to refuse insurance cover in any locations in New Zealand based on flood risk or anticipated sea level rise, and the terms we apply to “at risk” properties are no harsher than they would have been five years ago. “In regards to rising sea levels, this is not something that occurs suddenly and this means we do not expect to see people surprised by a sudden change to their insurance coverage. “Councils have advanced a fair amount in mapping their territory to identify which properties are at risk from natural hazards such as flooding, and in particular, some councils have acknowledged that sea level rise has a material change in the risk profile of their territory. “In response to this acknowledgement, the flood modelling that had been carried out previously might have been amended to account for an increase in the level of underground, river, lake and coastal water. The Insurance Council wants the Government to play a greater role helping mitigate the effects of rising sea levels. Grafton has criticised the Parliamentary Commissioner for the Environment, Dr Jan Wright, for not addressing rising sea levels in her new report that calls for greenhouse gas targets to be legislated. “It is puzzling why Dr Wright did not also recommend that legislating, as the UK does, for five-yearly adaptation assessments by an independent expert group. Grafton says the Commissioner’s approach is particularly off as “it was not long ago that the Commissioner’s report on sea level rise concluded that no matter what was done about mitigating greenhouse gas emissions, sea level rise was inevitable”. 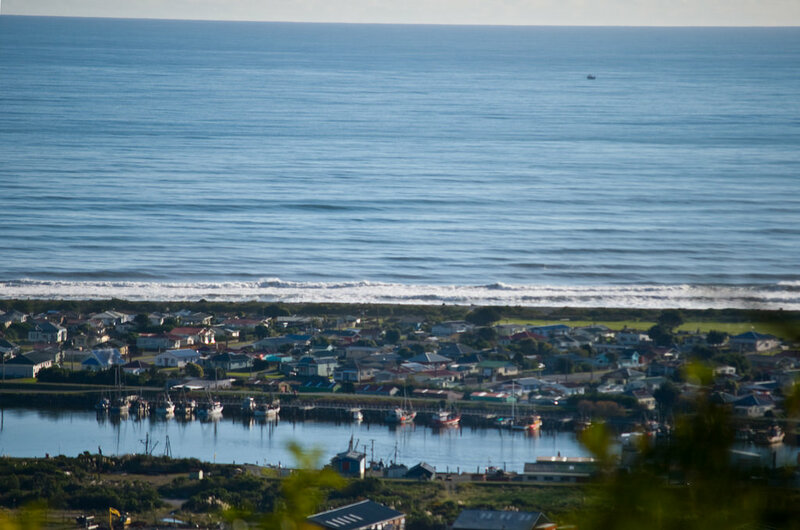 Wright, in a 2015 report, identified at least 9000 homes throughout New Zealand that lie within 50cm of spring tide levels. She found that while sea levels in New Zealand have largely been rising in line with the global average of 20cm since around 1900, they’re expected to increase by 30cm between now and 2065. Accordingly, she said a “one in 100 year” coastal flooding event is accordingly expected to occur every four years at the port of Auckland, every year at the Wellington and Christchurch ports, and every two years at the port of Dunedin. Long term insurance is an interesting idea. Personally I don't think we will ever see it though. As Insurance itself may not even be around in the long term. Surely the obvious answer is for the price of the properties to fall back to their real value, not a figure that assumes all risks can be passed on to either insurance or government. If you buy a house in a flood zone or next to the ocean there is a risk involved that is currently subsidised by those that live in less risky places, the market is skewed. Having said that it is surely notable that despite all the rhetoric the tide is still only coming in at its long term average of 2mm per year with no sign of global warming at all. To a certain degree, but then again all houses have some risk. Also some people are more careless than others, so may live in the safest part of the country, but may accidentally leave a heater on that causes a fire. The whole point of insurance is that it spreads the risk across the entire country, so we are all looking out for each other. Otherwise people may as well just self insure. But that is why I beleive the government brought in state insurance, and EQC. We should be a caring country. But day by day NZ is becoming more and more less caring IMO. Maybe that is partly to do with changes in the makeup of our society. Not sure if the point of insurance is to spread the risk with others, but to spread your own risk. More importantly, insurance is based on assessing the risk - that's why smokers, under 25s, lumberjacks etc all pay a higher premium to cover their higher risk under various policies. Why should that not be the case with property insurance? What irks me more is people choosing to carry their own risk by not insuring, but then trying to whine if something happens and they "lose it all" and want to appeal to greater humanity to help them... when they made a conscious choice to self cover. Interesting idea. Look at the eastern end of Whangapoa on the Coromandel. Houses have all but lost their expansive front grass areas, and the next king tide or storm swell is ready to start damaging houses and decks. Owners still trying to sell for millions though. Good....luck. Risk assessment .. So where is the risk assessment when a long standing Auckland mayor buys their dream retirement home on the top of a cliff... that for the last 40 plus yres at least, the area has seen substantial under mining and collapse. Why build flash holiday/ retirement homes on sand bases sand bars.. that have been known to wash away / move on a regular basis over the last few 100 yrs.? Why should the taxpayer/ rates payer or the insurance customer who considers these things be penalised with higher tax, and premiums? Where is the prudence, responsibility of the intending and eventually owner? Climate change ozone holes have been around in the public eye since the early 1970s.. at least when aerosol companies like S.C Johnson volunteer stopped using freons as propellants.. with a huge world wide marketing effort. Therefore it follows the change is the issue.. the reason is basically academic and a red herring. So for the last 40 yrs at least we have had front page news of sections washing away, homes falling off cliff tops, grizzles cause councils cant afford to build walls, graphic pictures of low laying areas getting flooded every few yrs....and those people who insist to buy / build in these places now want hand outs for their lack of very basic foresight! Top that off, a good proportion of these are successful people generally of the opinion being anti government interference, market driven type philosophies. You have to question why councils continue to allow development on low lying coastal land. E.g. Papamoa. At least in South Dunedin all new buildings must be relocatable. Here in chch with the last big rain / big tide, some jetties were under water. Water was up the yacht club doors by 9" or so. Water was coming up thru grates in in a fountain. Slight flooding on roads etc. The govt needs a central body to show some leadership and supply guidelines to local councils. Walked around Omaha yesterday. There's a humongous mansion being built on the beachfront at the northern end, with a house-sized wine cellar dug 4metres into the sand. Some 200 yards away, the council is doing major remedial work on a rock groyne built to stop beach erosion. Some of the older homes further down are only metres away from being ABSOLUTE beachfront, ie on the beach itself. Question is: who pays to fix the problem - the millionaire mansion owners, or the taxpayer? Surely this should be caveat emptor. Why would you build on the beach when sea level rises are predicted by 95%+ of the world's climate scientists? What, just because you listen to Leighton and think climate change is made up, the taxpayer should carry the can? Rick, cheap shot at Leighton. It's a mess alright. Councils have had legal action taken by home/land owners whose areas have been declared coastal hazard zones. These warnings are now no longer in place so no one really knows what's going on. Assume the worst I guess if you are considering buying anywhere low lying. BTW I think the bank holding the mortgage is advised by the insurance company if insurance is cancelled or not paid - at least that's what they told me when I was late paying once. And reassuring words like "Oh. You're ok. You'll be covered by the Natural Servitude Laws" mean little. Councils are doing their best to remediate land as it is further developed - making it be raised up at every chance - but if non consented work is carried out; on sold to an unsuspecting new owner, it appears that the new 'low lying' owner has grounds for remediation. It's a mess alright! "Climate change - when does it get real?" "Berkshire Hathaway CEO Warren Buffett on Monday said he has not yet seen sufficient evidence that climate change is affecting weather events to a degree that would make him change the way his conglomerate's insurance businesses write policies. Buffett delivered a similar assessment in last year's annual letter to shareholders. In that letter, he said climate change had not up until then "produced more frequent nor more costly hurricanes nor other weather-related events covered by insurance." Perhaps it will get real when Obama, Gillard, Rudd, Flannery, Key, Gore... sell their beach front properties? "Between 1900 and 1950 relative sea level rose at an average rate of 4.2 ± 0.1 mm/yr. During the latter half of the 20th century the reconstructed rate of relative sea-level rise was 0.7 ± 0.6 mm/yr. Our study is consistent with a similar pattern of relative sea-level change recently reconstructed for southern New Zealand." China is really getting in to the spirit of this Paris Accord - not like that nasty man Trump. "China has successfully produced natural gas from methane hydrate, also known as "flammable ice," in an experimental project in the South China Sea, the land and resources ministry said on Saturday (29/07). A drilling platform deployed off the coast of the southeastern Chinese city of Zhuhai for 60 days produced a total of 309,000 cubic meters of natural gas, a record extraction volume from gas hydrate, the Ministry of Land and Resources said in a notice on its website. The land and resources ministry said earlier this year that two gas hydrate deposits with about 100 billion cubic meters of reserves have been discovered following seismic surveys and drilling programs in the northern section of the South China Sea." Doesn't look like we're about to run out of stuff to burn then Profile plus we've only just started on the immature (pre compression, subduction and cooking) peat (pre coal) and shale oil reserves. The big concern is methane (mostly) in the arctic. Temperature rise is thawing the permafrost allowing anaerobic decay of long frozen vegetation and animals releasing existing methane into the atmosphere. Meanwhile the ice loss is lowering the albedo allowing the sun to heat the land and sea. The warmth is also encouraging the growth of vegetation which looks like a plus due to increased uptake of CO2 but has no effect in reality as the grasses and shrubs are quickly eaten or rot in the autumn returning the carbon to the atmosphere. The old methane fall back position. "When permafrost thaws, wetlands are formed. Because typical wetland soils are water‐saturated and rich in organic carbon, they create a favorable environment for methanogens, the microorganisms that produce CH4. According to this conventional paradigm, the Arctic under global warming may act as a source of CH4 to the atmosphere. However, the carbon‐poor mineral soils studied by Lau et al. occupy five times the spatial area of carbon‐rich soils in the Arctic. Given that these mineral soils have now been shown to have the capacity to consume atmospheric CH4, large parts of the Arctic may actually act as CH4 sinks in the 21st century." Been a bit nippy in the Arctic this year too with Summit station recording a brisk -33 degrees - the lowest on record. It seems highly likely to me that climate change poses a major problem for the planet. I say 'highly likely' rather than 'certain' because I have no scientific aptitude. The old methane eating bacteria position. Trouble is methane is not much more than half the weight of air so the bacteria in the soil can only have a bit of a nibble on any molecules that happen to be nearby. The vast bulk of the methane quickly moves to the upper atmosphere as it is produced. It is a powerful green house gas but thankfully degrades by chemical reaction over several years. Unfortunately the methane's carbon in both bacterial and atmospheric decay (or by burning as per your original post) is converted to much more stable CO2 which is continuing it's relentless rise. From the Lau paper above as opposed to the Quora quote from a "researcher in carbon farming/Lunatic Farmer". "Then these samples were incubated in air in a cold room back at Princeton University, they consistently removed the CH4 from the air regardless of their moisture status. When the samples were incubated at 10°C they exhibited even greater CH4 consumption rates than had been observed at 4°C in the cold room. The team complemented these laboratory experiments with in situ measurements of land‐atmosphere CH4 exchange at the field site on AHI during spring thaw and mid‐summer. These field measurements all showed atmospheric CH4 uptake at rates consistent with the laboratory observations, further supporting the idea that the mineral soils on AHI act like sponges for atmospheric CH4 during the summer time when other regions of the Arctic are emitting CH4." "the carbon‐poor mineral soils studied by Lau et al. occupy five times the spatial area of carbon‐rich soils in the Arctic. Given that these mineral soils have now been shown to have the capacity to consume atmospheric CH4, large parts of the Arctic may actually act as CH4 sinks in the 21st century." David the IPCC regards the chances of "abrupt permafrost carbon release" as a "no" and "Projected likelihood of 21st century change in scenarios considered: "Possible that permafrost will become a net source of atmospheric greenhouse gases is low confidence. Not even the IPCC believes in this doomster stuff. Every journalist should have a copy of this table tucked away for a bit of balance. Cant really understand the long term policy idea. It assumes the insurer will take on the risk of sea level not happening, or at least some risk. That would have the effect of rocketing premiums, as they would take a precautionary approach based on science. Motu demonstrate how out of touch they are with commercial reality. You can almost hear Grafton chuckling at their naiveté. A few moments thought about the challenge of raising reinsurance capital that would need to be committed for a long term on an event that is inevitable but no-one is entirely sure when it will happen, throw in massive risk accumulation, heavily skewed risk selection against insurers, brand exposure from the inevitable media fuelled outrage when insurers withdraw cover, and it should have been obvious the idea was not a goer. Insurers are already pulling back from inevitable inundation risk and this will continue. In Christchurch the earthquakes have hastened the process but it is quietly happening elsewhere as insurers adjust their rating models.